Something has been bugging me lately. I can find stories of action, adventure, academia, lost treasures, lost loves, etc. which is awesome, but I’ve noticed, the lost loves are always girls, and the heroes are almost always boys! As I have not yet been elected Supreme Ruler of the Universe (an egregious oversight, I’m sure), I can’t force more female heroes into the genre any more than I can make the the kidnapped beauties men with flowing chest-hair and pants that cling provocatively to their legs as they lean into the inexplicable wind that always follows kidnapped beauties. So I’ll have to content myself with this list of female adventurers and detectives, at least for now. If we’re going to make any changes in the detective/adventurer field, it’s important we start early, so our first daring duo is the inquisitive young ladies of Murder Most Unladylike. Like any good detectiving pair, these two must compete against time and a nefarious killer to figure out the twists and turns of a complicated case before the police get there and ruin all the fun. A model pair for any young ladies setting out to become the next non-gender-specific Sherlock Holmes. Though it does make one wonder–what does a ladylike murder look like? 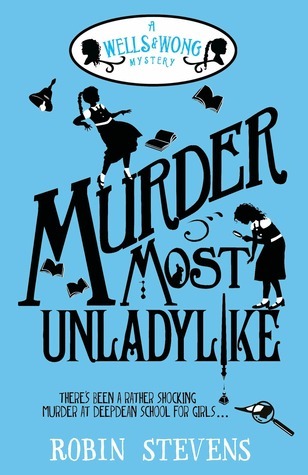 Now Hazel and Daisy not only have a murder to solve: they have to prove a murder happened in the first place. Determined to get to the bottom of the crime before the killer strikes again (and before the police can get there first, naturally), Hazel and Daisy must hunt for evidence, spy on their suspects and use all the cunning, scheming and intuition they can muster. There’s a murderer on the loose—but that doesn’t stop the girls of St. Etheldreda’s from attempting to hide the death of their headmistress in this rollicking farce. The students of St. Etheldreda’s School for Girls face a bothersome dilemma. Their irascible headmistress, Mrs. Plackett, and her surly brother, Mr. Godding, have been most inconveniently poisoned at Sunday dinner. Now the school will almost certainly be closed and the girls sent home—unless these seven very proper young ladies can hide the murders and convince their neighbors that nothing is wrong. 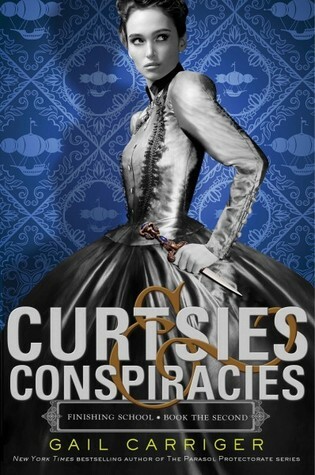 We’ll finish off the school-section of the Feature with finishing school (har de har har) with the dangerous young ladies of Curtsies & Conspiracies. If nothing else, I think this novel has found out how to stop students whining that “School is so boooring!” and “We’ll never need to know this! !” I for one would never miss a day of class if it meant turning me into the classy and debonair spy/assassin who could make James Bond look sloppy (though it might not be so hard to compete with someone so…easily distracted). Sophronia’s first year at Mademoiselle Geraldine’s Finishing Academy for Young Ladies of Quality has certainly been rousing! For one thing, finishing school is training her to be a spy–won’t Mumsy be surprised? Furthermore, Sophronia got mixed up in an intrigue over a stolen device and had a cheese pie thrown at her in a most horrid display of poor manners. Everyone needs some kind of career to occupy his or her time after finishing school and even the detective/adventuring woman has to choose a specialty. 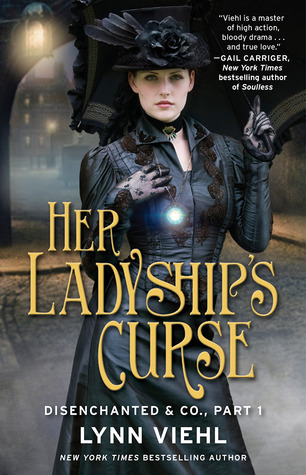 One way to go is to follow this heroine’s footsteps and investigate fake paranormal activity such as Her Ladyship’s Curse, learning all the tricks of that particular trade and revealing charlatans (hopefully with a grandiose unveiling). And since I have yet to see a story of a supernatural-debunker who isn’t confronted with real magic/ghosts eventually, this job comes with the added perk of seeing magic in action! 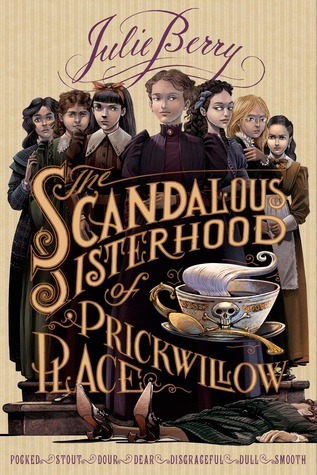 In a steampunk version of America that lost the Revolutionary War, Charmian (Kit) Kittredge makes her living investigating magic crimes and exposing the frauds behind them. While Kit tries to avoid the nobs of high society, as the proprietor of Disenchanted & Co. she follows mysterieswherever they lead. Lady Diana Walsh calls on Kit to investigate and dispel the curse she believes responsible for carving hateful words into her own flesh as she sleeps. While Kit doesn’t believe in magic herself, she can’t refuse to help a woman subjected nightly to such vicious assaults. As Kit investigates the Walsh family, she becomes convinced that the attacks on Diana are part of a larger, more ominous plot—one that may involve the lady’s obnoxious husband. Sleuthing in the city of Rumsen is difficult enough, but as she learns the truth behind her ladyship’s curse, Kit also uncovers a massive conspiracy that promises to ruin her life—and turn Rumsen into a supernatural battleground from which no one will escape alive. Another obnoxious trend I’ve mentioned before is that of limiting adventure stories to young, single women who spend half their time solving mysteries and the other half falling in love. Life does go on beyond falling in love, and I would even make the radical contention that mysteries can be solved without taking time out to swoon. 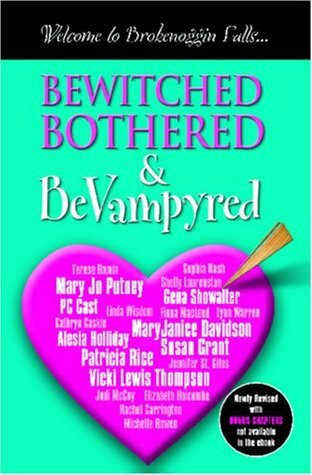 Fortunately the (many) authors of Bewitched, Bothered & BeVampyred agree with me and have given us a supply of stories, mystery, adventure, and otherwise starring all manner of grown-up and married women causing and solving mysteries. Next PostNext MedHum Mondays: Why Medical Humanities?